At least 11 people were killed and dozens injured when heavy rains across Jordan on Friday triggered flash floods, which also forced the evacuation of hundreds of tourists from the ancient city of Petra, local officials and media said. Authorities warned that heavy rains would continue Saturday, and urged residents living in low-lying areas to evacuate. More than 3,700 tourists were visiting the World Heritage site, famous for its carved rock ruins, according to media reports. Among the evacuees were 47 Japanese, 45 tourists and two guides, who were later confirmed to be safe, Japanese officials there said. The floods were "almost like a tsunami," a female Japanese tourist told Kyodo News by phone. The Japanese Embassy in Jordan is trying to confirm whether there were any other Japanese in the area. 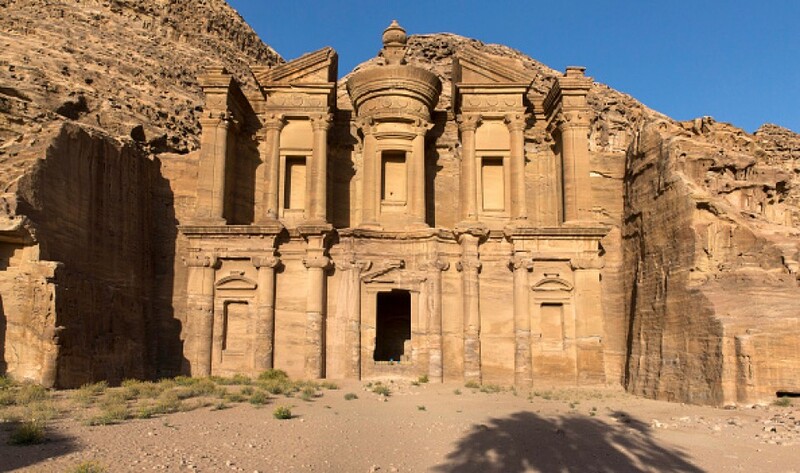 Petra, an ancient city believed to date back to 9,000 BC, was designated a world heritage site by UNESCO in 1985. On social media, Twitter user @miledemaile posted a video clip of the flooding in Petra.